Sometimes, a well-crafted interactive exhibit can not only engage an individual user but can help a community bring its history to life. 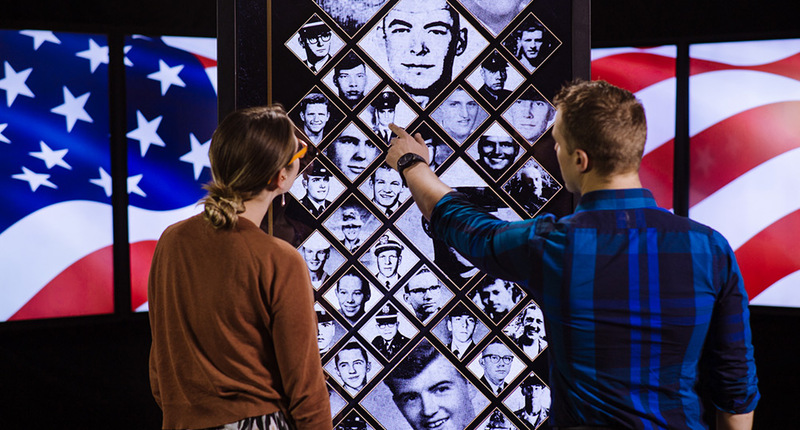 Ideum was proud to work with Iowa’s Grout Museum District to design Faces of the Fallen, a touchscreen-based exhibit now on view at the Sullivan Brothers Iowa Veterans Museum in Waterloo, Iowa. 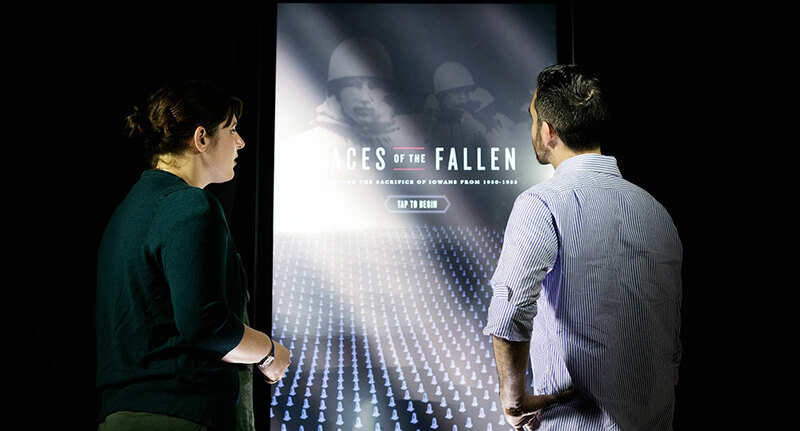 Running on Ideum's 65" Presenter display, Faces of the Fallen lets visitors learn the stories of Iowa soldiers who lost their lives in the Korean War. Museum guests can use the exhibit in two ways: they can search the database by name, city, county, rank, or branch of service to find a specific soldier, or they can simply explore biographies and photos to learn about the lives of those who served. Guests with additional information or pictures are encouraged to provide that data to the Museum to help update their database. The exhibit’s interactive menu lets guests search for soldiers in several ways. This isn't the first collaboration between Ideum and the Sullivan Brothers Museum. Faces of the Fallen is a companion piece to Faces to Go with Names, a touchscreen exhibit that allows visitors to learn about Iowa's Vietnam-era soldiers. Faces to Go with Names debuted at the Museum in 2016. Museum visitors can also browse through soldiers’ biographies and images. 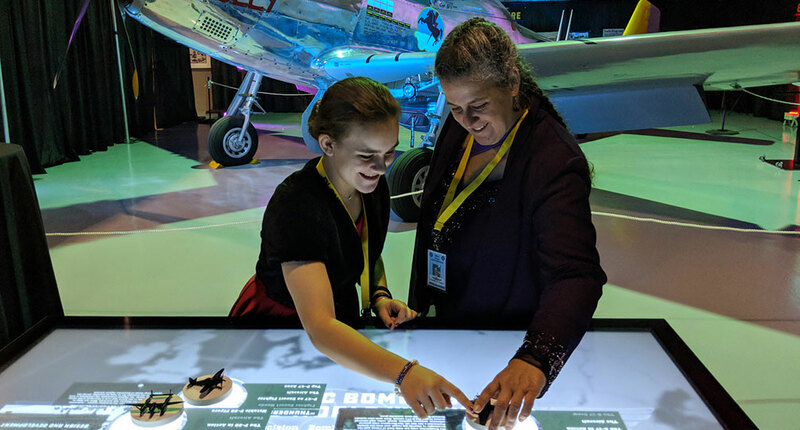 Interactive exhibits can give people of all ages new ways to investigate a wide range of issues, including topics in history, art, science, and technology. They can also create opportunities for discussion and reflection on the meaning of those experiences for lives and communities. We're pleased and humbled to work with Grout Museum District to give visitors new ways to explore the people and events that shaped their history. Ideum collaborated on the design and fabricated a custom cabinet for this exhibit.